Vinod's Author Bio: I am senior tech at USA Computer Store and we are well know for laptop repair Broward and laptop repair Fort Lauderdale. We here at USA Computer Store sell a variety of computers for any office or home situation and also we are well know for computer repair Fort Lauderdale. To keep your computer clean, inside and out, is often a challenge! I’m not talking about the dust and dirt that tends to accumulate in your computer’s case, but the nasty stuff that tends to cause your computer to become slower, little by little as you use it regularly. I’m sure this is a problem you are familiar with, you bought a computer and the first thing you notice how fast it is. Everything runs without a hitch and programs are snappy like the beat of a well versed drum. However 6 months later you start noticing a few things. It first starts out with programs needing to take a couple of extra moments to open, surfing the web starts to become a chore as things feel like they come to a crawl at moments. Even something such as turning on your computer seems to take forever and ever and ever. “This cannot be right!” you have probably thought to yourself, and you are correct! Much like a motor car, a computer needs their fair amount of touch, love, & care. The problem is, if you are not sure exactly what to do, then you could end up playing around and damaging your computer. This is why, unless you are a PC expert, you should stick to using programs to help you do the fiddling! The first thing you notice once you start searching for a good, safe, & efficient computer cleaner software is that there are a ton of them, more than you or I could ever count! Being the computer savvy person I am, it’s with the most honorable intent that I present to you the software that I personally feel does the best job. Some PC cleaning software can be dangerous, if it is not well made, or designed to damage your system, you could get negative effects. Check the software has lots of good reviews, if from a trusted source and experts like it, before you go downloading it onto your PC. 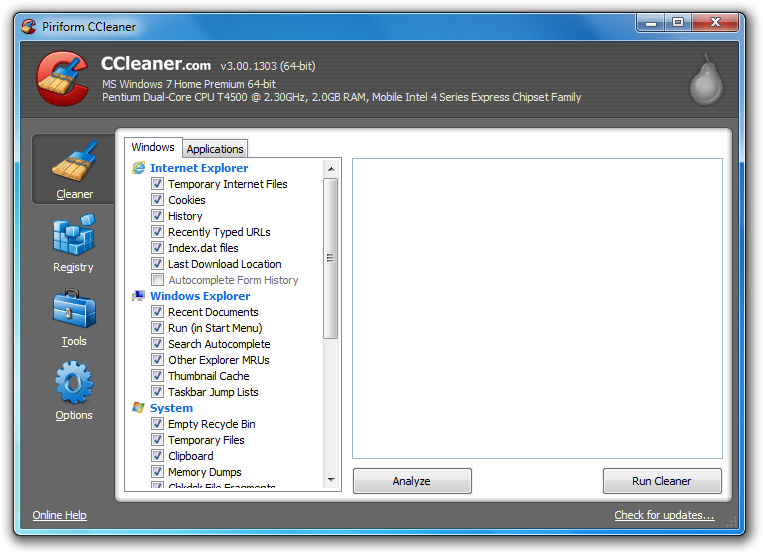 My favorite PC cleaner is CCleaner, which I think is an amazing little program. With a quick and simple Google search it is bound to come up – easily available on internet, if you’re unsure as to where to download it, always try to get it from the official website. This program is super handy because it clears out the majority of junk and trash you have incidentally stored and have hidden away in places you wouldn’t have imagined! When you launch the program you’re going to be presented with a handy onscreen menu; you should select ‘analyze’ and then ‘run cleaner’. Once completed you’ll notice that a whole lot of space on your computer has been freed and a sense of speed has been restored to your machine. 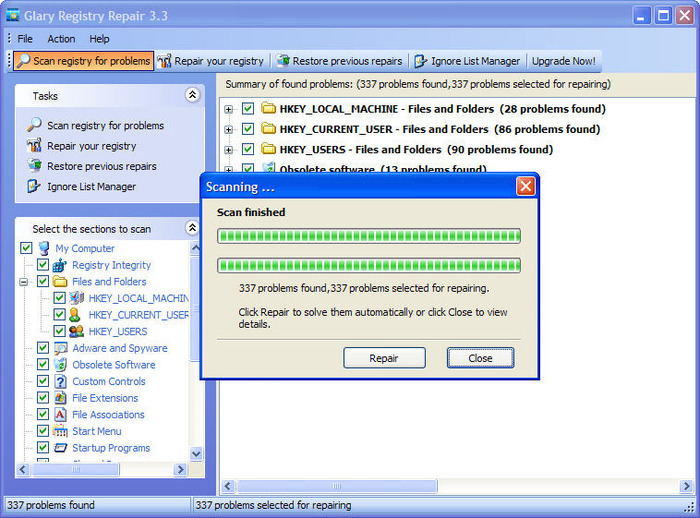 The second program that I would like to recommend is Glary Registry Repair which is a dandy little tool that I highly recommend, because I have seen it perform some truly glorious work. Mostly everyone has heard of a computer registry, and that at times their registry becomes out of sync due to the programs that they have installed and uninstalled over time making incremental changes as it goes along. 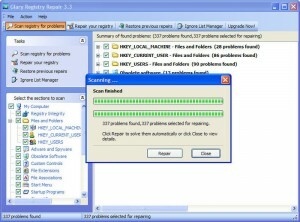 Glary Registry Repair attempts to help you spot and fix the errors in your registry, so that your computer can run faster. There are many different programs that you can use to speed up your computer and clean your registry. These are my personal favorites, however feel free to choose your own. For the last few years, the sale of laptops has increased by 25% whereas the sale of desktop machines has reduced. Along with increasing demand for laptops and a change in times, technology has been upgraded. Day by day laptops are getting thinner, more compact, lighter, and better in terms of performance. Because of this, laptops are now being put into smaller and smaller casing, which increases the threat of overheating, as there is less room for air to circulate. 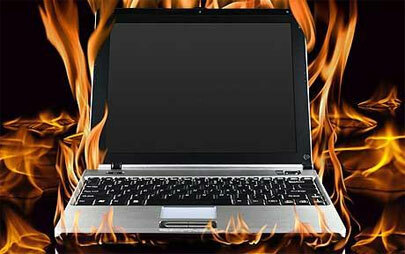 If your laptop overheats, it can cause permanent hardware damage or failure. In this article, I will try to teach you about how to identify, prevent and fix laptop overheating. Below are the three points which can help out to identify if your laptop is overheating. A reduction in the laptops performance – things load slower, the CPU is busy more often etc. Laptop overheating occurs due to insufficient cooling. This usually happens because either your laptop is clogged up with dust, blocking ventilation, or because a thermal grease compound is getting stocked between your CPU and the heat sink – the big metal cooler that is usually linked to the fan. You could purchase an external cooler. This is a cooling pad you place your laptop on, and it keeps cool air circulating around the laptop. Before you but a cooling pad, it is important to understand the flow of air in and out of your laptop. Cooling pads are more useful/effective when used on laptops with air vents on the base of the device. Cooling pad connect via USB, and consumes some of the laptops power – not a problem if you are plugged in. Usually these pads cost around £5-20 GBP. Most laptops have their ventilation grills on the bottom of the device. Therefore if you keep them on an uneven surface, such as a bed, lap or pillow, disturbance is caused to the airflow. Keeping your laptop on a hard surface, like a table or a strong hard tray is likely to get you good air flow.. The above two methods were external methods, however this method will require taking your laptop apart and putting it back together again – so only do it if you are confident you know what you are doing! This step is about removing your laptops casing to clean out any dust or dirt that might be restricting the airflow. Most laptops have downloadable user manuals, which can tell you all about the internals of your laptop, and how to take it apart, in order to clean it. This can void your warranty, so be careful and do your research! If you are not confident, you could of course take it to your local computer repair shop, and ask them to clean it. If you are doing it yourself, once you have opened your laptop, you will need to clean the fans which provide cooling to graphics card and CPU. Before you do this, make sure that it is shut down and the battery is removed – don’t electrocute yourself! For thermal grease you may need to use a cotton swab, dipped in stain remover to remover. For full, comprehensive instructions, research it yourself, and do not start opening your laptop up until you know what you are doing!